Most of us see our world in color. We enjoy looking at a lush green lawn or a red rose in full bloom. 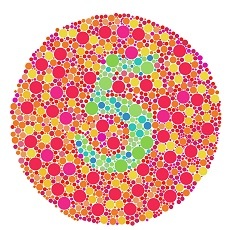 If you have a color vision defect, you may see these colors differently than most people. Article: Visual evoked cortical potential elicited by pseudoisochromatic stimulus.